I know, I know, everyone else is posting their Dreamforce 2018 recap. And I’ll be doing that too in a bit. But right now I am LONG overdue in sharing my recap of Forcelandia, and I’m tired of seeing my reminder to myself to write this post. So here goes. Back in August I went to Denver to attend the 2nd annual WITness Success conference (you can read my recap of that wonderful event here). At WITness success I co-presented a session with Charly Prinsloo about the #JourneytoCTA, and it went so well that she invited me to co-present with her again at Forcelandia. I’d never been to Portland, and I really enjoyed my first community event experience, so I immediately started scheming on how I could fit this trip in. Luckily, I was going to end up being on the west coast for a work meeting earlier in the week, so it wasn’t too much farther to fly up the coast. The day before the conference, as I was waiting for my Uber to take me to LAX to fly to Portland, I got a call from Charly. I knew something was up immediately, and she told me that she was sick and wouldn’t be able to make it to Forcelandia. Eek! I decided to go forward as a solo presenter, rather than cancel our session. But I had to think through how I would make our duo presentation a solo talk. I had time to think, because my flight was delayed. I landed in Portland just after midnight and headed straight to the Airbnb I was sharing with the amazing Kristi Campbell, who met for the first time at WITness Success. ​​Forcelandia is one of the only, if not the only, Salesforce community event focused on curating top notch developer-centric content. It’s in it’s 4th year, and is held at Mcmenamins Kennedy School, a former elementary school turned eccentric hotel. It reminded me a lot Hogwarts, but with a more confusing floor plan. The event itself was fantastic. Tons of brilliant Salesforce folks were presenting and/or in attendance, including Kevin Poorman, David Liu, Steven Herod, Carolyn Grabill, Zayne Turner and Irena Miziolek, just to name a few. ​​Highlights included Leslie Gestautas singing the Forcelandia Fight Song, Zayne Turner making an epic entrance during the Opening Keynote, the Women in Tech breakfast featuring CTA Irena Miziolek, and learning a ton from Melissa Hansen during her amazing presentation on Lightning Component Communication. ​​My session went well, but it was a lot different than the WITness Success presentation. It was a smaller room, and my energy alone is quite different from the energy Charly and I had together. That said, a lot of people came up to me after I was finished and told me that they enjoyed my session a lot, and that it felt like a safe space. On way back to Boston I decided that I needed back-up for the 40 minute breakout session I would be doing at Dreamforce. Luckily, two of my favorite Arch Ladies agreed to join me. 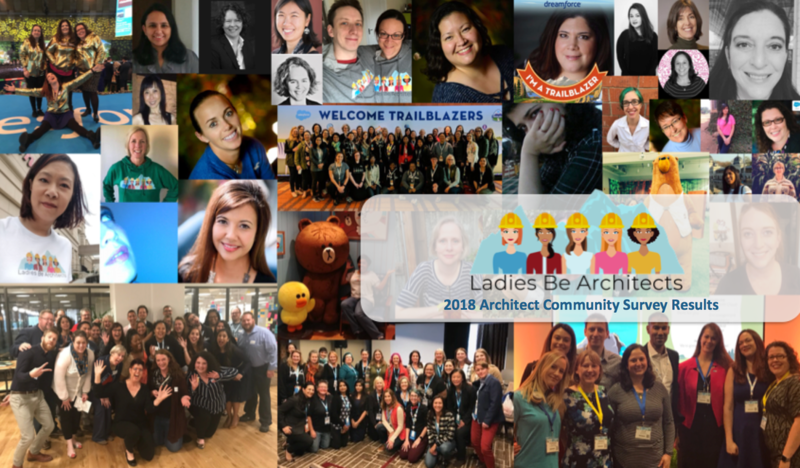 Stay tuned to hear about how Ladies Be Architects took Dreamforce! ​Last month I attended the second annual WITness Success conference as an attendee and also as a first time speaker. In case you’re not familiar with it, WITness Success is a community-led Women in Tech (WIT) event for the worldwide Salesforce ecosystem that aims to equip attendees to excel in their careers. This year’s conference was held in Denver the weekend after Daydreamin’ at 5280. I started my trip to the Mile High City on about three hours of sleep. The night before I went to see Taylor Swift, because…priorities. And in order to arrive in Denver with enough time to participate in the first sessions of the day I had to catch a 5AM flight, which meant leaving my house at 3AM. Needless to say, I was tired. 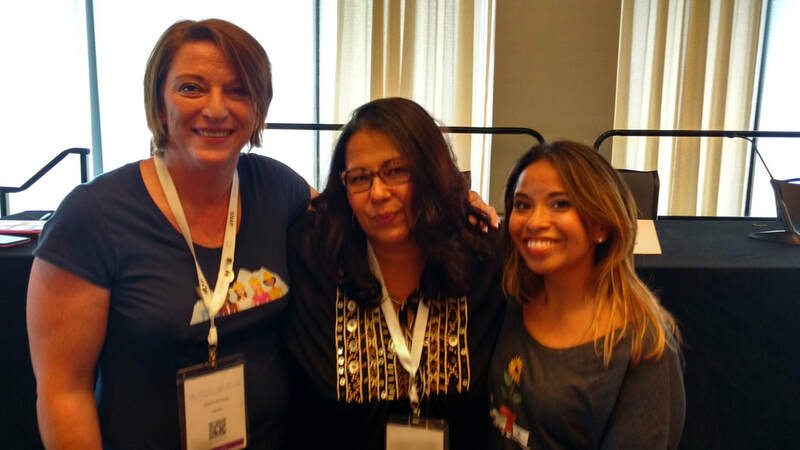 ​When I landed in Denver, I headed to the hotel and dropped my bags before heading up to registration area to meet Gillian Bruce and record a segment for the Salesforce Admins Podcast. I had an absolutely lovely conversation with Gillian and we both enjoyed a pretty jaw-dropping view of the city. Our selfie definitely didn’t do it justice! ​After the podcast recording I joined a few trailblazers for a pre-conference lunch. We finished up just in time to head back to the hotel for the first sessions of the conference. I knew I had chosen my session wisely since I got to hear from both Chris Duarte and Leah McGowen-Hare about the new Be A Multiplier (BAM) program and there were free cookies AND t-shirts. ​Still running on three hours of sleep, I went back to my room to change and recharge before the evening’s events started. With a bit more spring in my step, I headed downstairs for the Allies Dinner, hosted by Accenture. In addition to a great dinner the event featured an incredible panel hosted by Brigid Warmerdam and featuring Jessica Murphy, Adam Olshansky and Guillermo Pedroni. All the speakers were great, but Jessica Murphy brought down the house, speaking about the Shine Theory and sharing important statistics about the wage gap as it pertains to black and brown women. Did you know that on average, black women make 65 cents for every dollar that white men make? And latina women only make 59 cents on the dollar? Panel at the Allies Dinner. ​​Day two of the event was even more of a whirlwind. Luckily I was able to get a full night’s sleep before diving back in. First thing in the morning I met with my co-presenter Charly Prinsloo, co-lead for Ladies Be Architects, for the first time. Her flight to Denver had been delayed the previous day, so we were squeezing in some quick presentation prep before the Opening Keynote. 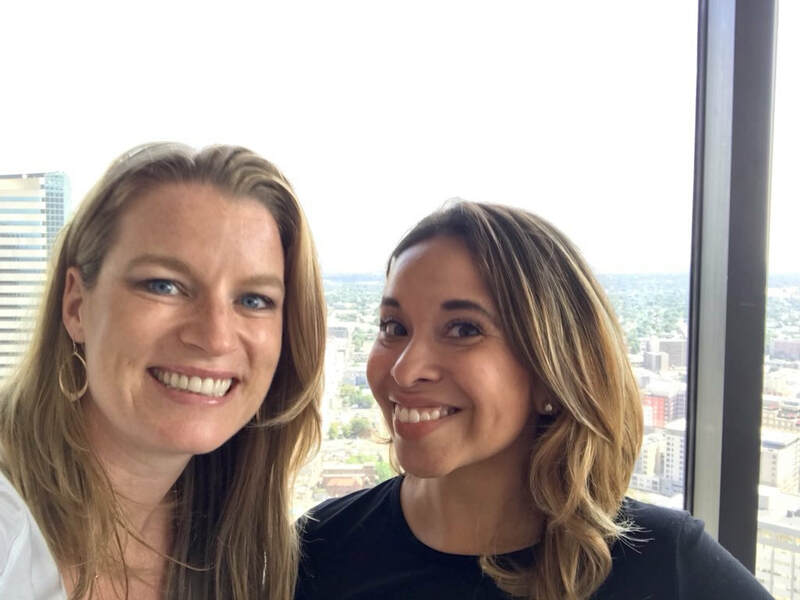 Luckily, we are both incredibly passionate about encouraging other women to pursue the #JourneyToCTA, so we knew that our session would be a success as long as we spoke from the heart. The Opening Keynote was incredibly powerful. Leah McGowen-Hare is always a fantastic speaker, but hearing her talk about moving from Grit to Grace was beyond what I had expected. After the keynote I ran the mic for questions from the audience, then headed to hair and makeup for a Trailblazer video clip and also for my first Trailblazer hoodie photoshoot. I had a blast with both, and really commend the Salesforce team for making the experience fun and efficient. After lunch I took a quick break before reviewing my slides one last time and heading to the room where our session would be held. I didn’t realize it until then, but we would be presenting in the same room where the opening keynote was held. It was not a small room! Luckily, we had an incredible turnout for our session, “Go for It – The Path to Becoming a Certified Technical Architect”. Not only in number, but the excitement and interest of each of the attendees was really incredible. Charly and I spoke about the logistics of getting the CTA certification, and also shared details about our individual journeys. One of the themes throughout the entire conference was the idea that failure is not a bad thing. That we, as women, should embrace our failures and learn from them. Charly and I each shared some of the failures that we have faced on our journeys. And I vowed, in front of the group. that I would be taking the Integration Designer exam by the end of August. I know that holding off announcing that you took an exam, until after you pass it is tempting, but I hope that one day we will all feel comfortable to share the things we’re striving for. Even if that means people will know we fail! A few folks were so sweet to take pictures with us after our session. ​The day ended with a lovely happy hour sponsored by Deloitte. At the event my dear friend Tami Lau was awarded the Tami Esling award, for all the work that she does in the community. I was in charge of making sure Tami made it to the happy hour. Luckily, it all went off without a hitch. Sunday morning after brunch I headed to the 1up, a classic arcade, where I played one of my favorite rare arcade games. As I headed to the airport to fly to San Francisco for my next bit of Salesforce related travel, I reflected on what an amazing experience WITness success truly was. 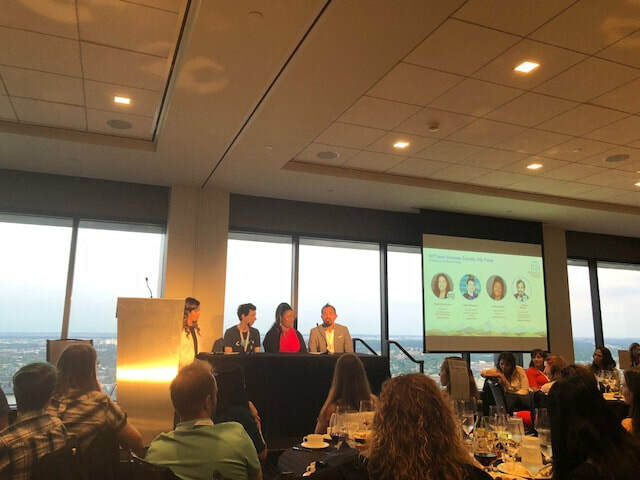 It was the first time that I felt deeply connected to the #SalesforceOhana in person, and it was one of my most successful public speaking experiences to date. The presentation went so well in fact, that Charly invited me to join her at Forcelandia to do the same talk again. ​Another stop on my “Summer of Salesforce” tour….why not? ​In July I took the train down to New York City for the only East Coast stop of Codey’s Summer Block Party. The weather didn’t allow for an outdoor event, but luckily the Salesforce team had an “in case of rain” venue reserved…just in case. I arrived at the event and was welcomed by the Salesforce staff and had a quick photo op with a few NYC based Trailblazers. Before I got down to work, I had to get my fill of the fun Salesforce-themed activities, including Platypus Plinko, Jenga, and of course, some Trailhead VR. Let’s just say I’m lucky that I’m better at earning badges than I am at shooting them. ​My first job at the block party was to help teach a small group about Salesforce Connect in a hands-on workshop. In just 30 minutes we were able to connect an external database to Salesforce. If you’ve never explored Salesforce Connect, I highly encourage you to take a look this powerful functionality. And in case you were wondering how to get started, there’s a badge for that! ​After the hands-on workshop I took the stage to answer some questions and share my “trailblazer story”. I’ve only spoken in front of a crowd like this a handful of times, so it still blows me away when people come up to me after and tell me that they were inspired by what they heard (thank you)! At this event in particular, my story about how I have transitioned from musician to nonprofit fundraiser to a career with Salesforce seemed to really resonate. I’m so glad I can spread the word about how anyone can make a career on the Salesforce platform…no computer science degree…or any degree…required! Earlier this month I had the pleasure of recording a recipe for the Lightning App Cookbook. I’d seen the awesome apps built by some of my other Ohana members and was really excited to contribute my own. If you haven’t seen the app cookbook project yet, you should definitely check it out here. The Salesforce team flew into the Boston office to meet with me and Misty Fierro. The whole team was there when I arrived, so all I had to do was get my mic on and we were ready to roll. This was my first time recording video with the Salesforce team, but luckily they did a really great job of prepping me so I felt very comfortable walking through my Trailblazer story...and of course the story behind my app! After the video we took some new headshots and captured some fun b-roll, including some scenes of me diagramming my app solution on a whiteboard. A good reminder that I have lots of CTA board prep ahead of me! I also nabbed some cute new Astro stickers. Stay tuned in the coming months for the final video to drop...hopefully before Dreamforce! If you're a Salesforce Architect or on your #JouneyToCTA, please join us for the first annual Salesforce Architect Community Survey! This research project will help set a baseline for the important work being done to increase diversity at the highest level of the Salesforce technical arena. Last month I passed the Development Lifecycle and Deployment Designer exam! I didn’t spend as much time studying as I had for the other designer exams, but since I work with a large enterprise org, I figured that I would be familiar enough with the majority of the content to take a stab at the test. To prepare, I spent about a week working through the Trailhead Trailmix. I also used this Quizlet set that I found to be quite good. I didn’t spend very much time studying governance roles or development methodologies since I felt comfortable with my knowledge in those areas. I was less familiar with ANT and Jenkins, so I focused my energy there. The day of the test I set up my camera and logged into my Webacessor. For some reason I had thought that the test was only 90 minutes, so I smartly--or so i thought--scheduled my Grubhub sushi and bao dinner delivery right at the 1.5 hour mark. I launched the test and, as usual, spent a good five minutes typing furiously back and forth with the Kryterion test monitor who critiqued my camera placement. After I finally perfected my angle, I started the test. I felt pretty confident the first handful of questions, and started to pat myself on the back for not bookmarking too many questions for later. Then the unthinkable happened. My food delivery had come 30 minutes early. When does that EVER happen. I frantically typed to my Kryterion test watcher that I needed to answer the door. Luckily, he was cool with me answering the door and putting my food aside in the kitchen. That was close! As it turned out, my version of the Development Lifecycle and Deployment Designer exam didn't contain any questions about ANT commands. Literally, there was only one question where ANT was even mentioned...and it was very very high level. Who can approve scope changes? Who is responsible for communicating to executives? Who chooses the methodology for the team? These are all things you should be familiar with. There were several questions about agile vs. waterfall. You should not only be able to articulate the difference between the two software development methodologies, but you should also know how to select the best methodology depending on timeline, budget and complexity of the project. I will definitely need to brush up on this for the CTA board. To anyone thinking about taking this exam I would also recommend reviewing when change sets will lock an org, as well as any impact the Salesforce maintenance windows might have on your code or config. Knowing the limits and use cases for the different Salesforce sandboxes and Salesforce editions is also key to passing this exam. All in all, the exam was much less technical than I expected except for one very random, very specific, question about using Selenium. Despite my lack of intense prep for this exam, I did pass. But I definitely will spend some time strengthening my weak areas. There's always room for improvement! One of the factors when choosing what mountain to climb is the view that you are afforded. Even on minor climbs, the views as you climb along the trail and from the summit can be outstanding. With more experience, a mountaineer tends to climb more difficult mountains where the challenges are greater and the views are even more breathtaking. One rule of thumb is the harder it is to scale the mountain, the more serene and wonderful the views at the top are. 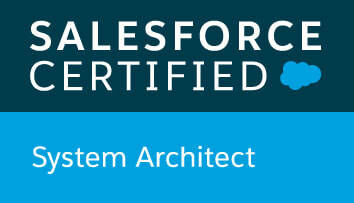 I started my journey up Salesforce Architect Mountain two years ago when I cleared my Platform App Builder exam. 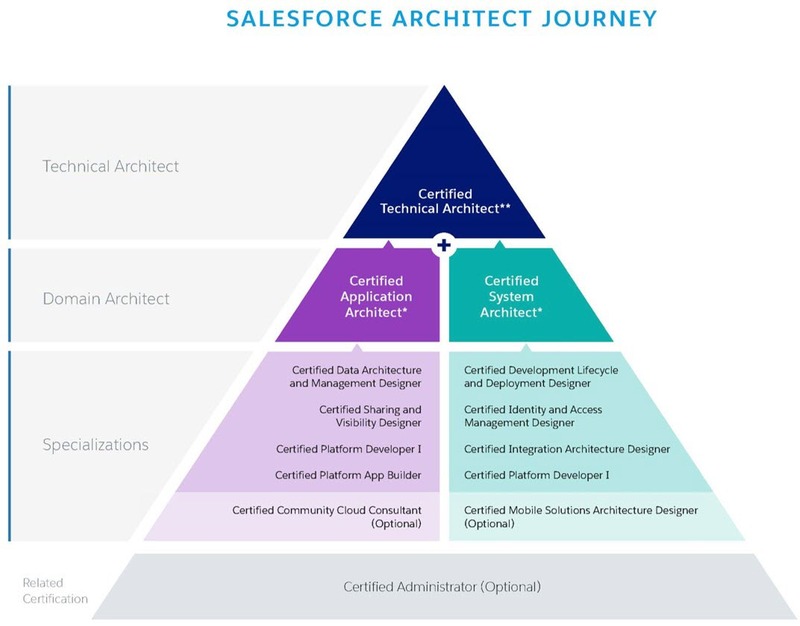 At the time, the new Salesforce Architect journey had just been released, but the thought of obtaining any Domain Architect credential was far from my mind. 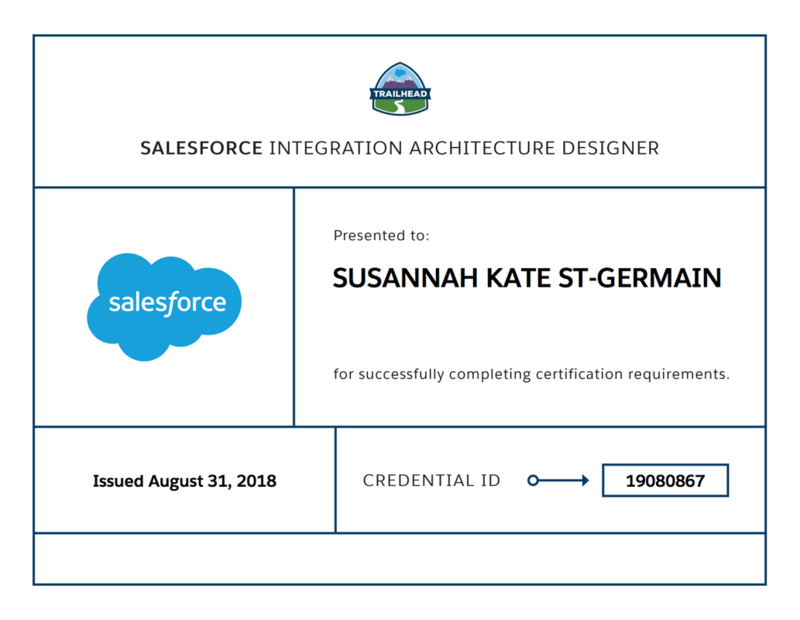 In fact, the idea of pursuing one of the architect “designer” certifications wasn't on my radar until this year's TrailheaDX (TDX18) conference. In the last two months I've earned three new certifications. And learned a whole lot about the process of planning for these high-level exams. In future blogs I will talk in detail about test strategies and my opinion on the best order to obtain your certifications. But, for now, I want to share some important lessons I learned at TDX18 and how earning your Salesforce Architect credentials is a lot like mountaineering. I planned to pursue the System Architect Domain credential first. At work I was just promoted to Architect and I was working a lot with our integrations, so it seemed like the natural choice. At this point, The Certified Technical Architect (CTA) summit wasn’t something I even considered. 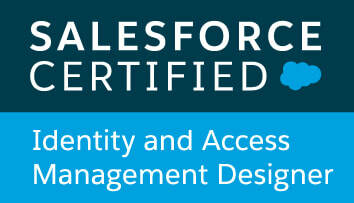 I originally, and very incorrectly, assumed that the Identity and Access management designer certification would be a good one to start with (I know, what was I thinking!?) After doing a bit more research, and talking to a lot of people in the Salesforce community, I realized my mistake. As many of you might know, the Identity and Access exam is one of the toughest of the architect exams. One of the reasons this exam is tough is that the exam’s content isn’t part of most people’s day-to-day work (think SAML, OAuth, identity providers, things that you set up once per implementation). I also heard that the Integration Designer exam wasn't a walk in the park either. 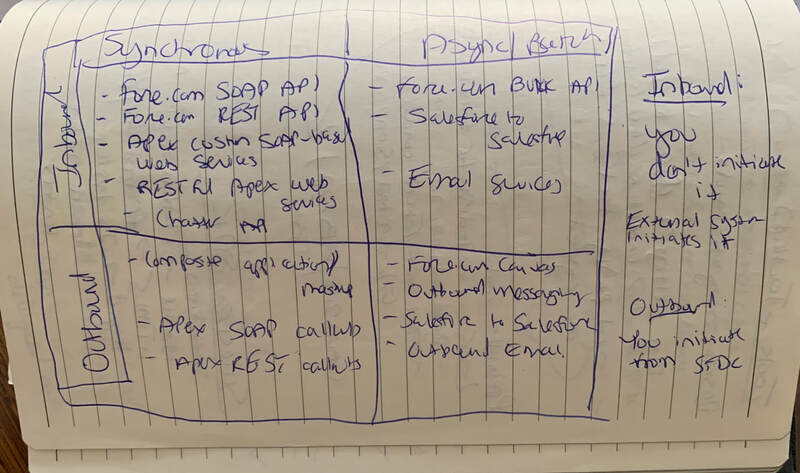 I realized I needed to revisit my planned route up Salesforce Architect Mountain. With the realization that my journey to the top of the mountain would be a bit longer and more challenging than I had originally thought, I figured I might as well set myself up for an early win. I already had my App Builder and Platform Developer 1 certifications, and since there were two opportunities to take a certification onsite at TrailheaDX, my new path was clear. I would take the Data Architecture and Management Designer exam first, followed by the Sharing and Visibility Designer exam, with the goal of going home with a shiny new Application Architect credential. I would attempt the Data Architecture and Management Designer exam first because it contained the most new content for me. Since I had about a month before TDX, I would focus 100% of that time studying for the Data Architecture certification, then during the bootcamp I would focus on filling any gaps in my existing knowledge of Sharing and Visibility. Preparation for the Data Architecture and Management Designer was actually quite fun. I dug into some new topics including considerations for Large Data Volumes, and the mechanics of how sharing tables and search optimization work. With about one month to study, my mental preparation for the exam was pretty thorough. I took full advantage of the study guide provided by Salesforce and bookmarked each and every resource to review. I took notes after each video or blog post and then studied those notes repeatedly. I also found a really great Quizlet set. There is also a Trailhead Trailmix for this exam that was released days before I flew to TDX. Sunday morning (the first day of TrailheaDX bootcamp) I lined up to take my test. Even though I prepared well, I was nervous. Luckily, the test itself was pretty much what I expected. The most challenging part was the length of the exam and the wording of the questions (more dense than other exams I've taken). I ended up flagging way too many questions for review. At one point I found myself second guessing my initial answers. Pro Tip: for anyone taking Salesforce exams, this is usually the time to stop reviewing the exam and just press submit, especially if you prepared well before taking the test. I took a deep breath, left a handful of flagged questions unread, and submitted my exam. Moments later, I was the proud owner of my first architect certification. I raised my hand to have a proctor come and close out my exam. It just so happened that Doug Ayers was the proctor who came over to help me. He congratulated me on my pass and made sure I didn't forget my apple watch I had stored under my seat! From the get-go I knew my preparation for the Sharing and Visibility exam would need to be different. I assumed the biggest challenge would be the limited time to study, but as it turned out, the toughest part of was how tired I was after sitting in a 10-hour day of training, AND THEN sitting down to take a two hour exam. Luckily, I saw this coming after the fatigue I felt on Sunday. Like a good mountaineer, I knew I needed to be both mentally and physically prepared this time. Since I had limited time to prepare, I turned to my Salesforce Ohana at the event to help me. I knew several people who had taken Sharing and Visibility the first day. I asked them if anything surprised them about the exam, and if they could share any pointers. They shared some of the areas they wished they had studied more, and I honed in on those. For anyone looking to take this exam I highly recommend brushing up on the different types of community licenses, the difference between sharing sets vs. sharing rules, and when you need to use programmatic sharing vs. declarative sharing capabilities. To prepare physically I studied for two hours after the classroom sessions ended on the first two days of bootcamp. That way on the third day, I would be prepared for the fatigue I would feel sitting down to start the exam. In the end, I left TrailheaDX with three new certifications: Certified Sharing and Visibility Designer, Certified Data Architecture and Management Designer, and the Certified Application Architect certification. I learned a lot about the strategy of planning for exams and the difference between attaining a domain architecture certification and being ready to pass the CTA board. I also did a great deal of thinking about Salesforce Architect Mountain, and how preparing for the summit (becoming a Certified Technical Architect) is a lot like mountaineering. To be a mountaineer, you don't need to be a master rock climber, but you do need to know the basics of using a harness, belaying, and tying a rope. I think this applies quite nicely to the relationship between the designer exams and the actual CTA. Make sure that you brush up on your basics (the content of each designer exam) before you attempt to take them. But don't assume that passing all your exams means you're ready for the CTA board right away. You're not a master rock climber just yet! Hi! My name is Susannah and I am proud to be blazing a path for my career with the Salesforce platform. I've come a long way in the last 7 years and I hope to be able to share some of the things I've learned with you. Recently, I learned that there are only ten Certified Technical Architects (CTAs) in the world who are women...IN THE WORLD. When I heard that statistic I was inspired to start my journey. I want to be a trailblazer for other women and people of color who want to embark on the architect journey. I aspire to be an awesome architect and believe that you can be one too.